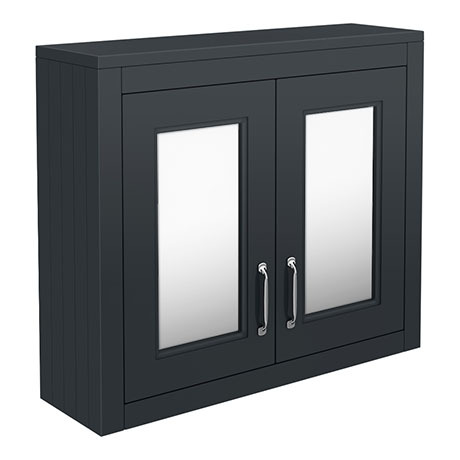 A stylish Chatsworth Traditional Mirror Cabinet with polished chrome handles. Manufactured to a high standard, the inspired Chatsworth range of luxury furniture with it's clean minimalist design and muted palette blends beautifully with any style of bathroom. Comes with a 12 month guarantee against manufacturing defects. Designed to complement the rest of the Chatsworth graphite furniture range.